Need help in weeding through the unnecessary, unsure of where to start or just have a few questions? Reach out. I am here to help. Looking to find out your home's value? Find out here with this FREE information tool comparing your home to today's market. Knowledge is power. Know your home, know your neighborhood and stay up-to-date on the most relevant market information in your area. With over a decade of experience in communication, marketing and design, Alicia offers a unique approach to the home buying and selling experience. 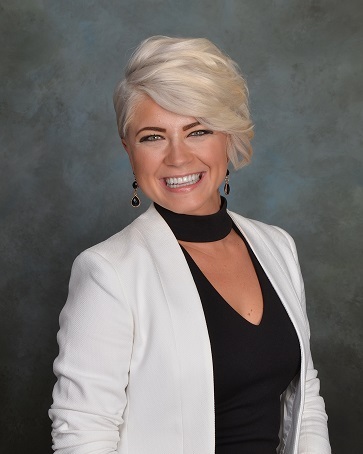 With a strong foundation in the Grand Rapids community, knowledge of design and a unique marketing approach, Alicia understands what it means to have optimal selling results and get individuals into a home that suits their needs and lifestyle. Highly driven with an attention to detail, trust your next real estate buying and selling experience to Alicia. "My wife and I had the pleasure of working with Alicia as our Realtor® during our home search. Alicia was the consummate professional and her communication skills were excellent. She was very knowledgeable, thorough and was always on top of it. We would not hesitate to work with her again! "